All information in this guide is to be used for setting up RTMP Sources inside of Lightstream Studio. 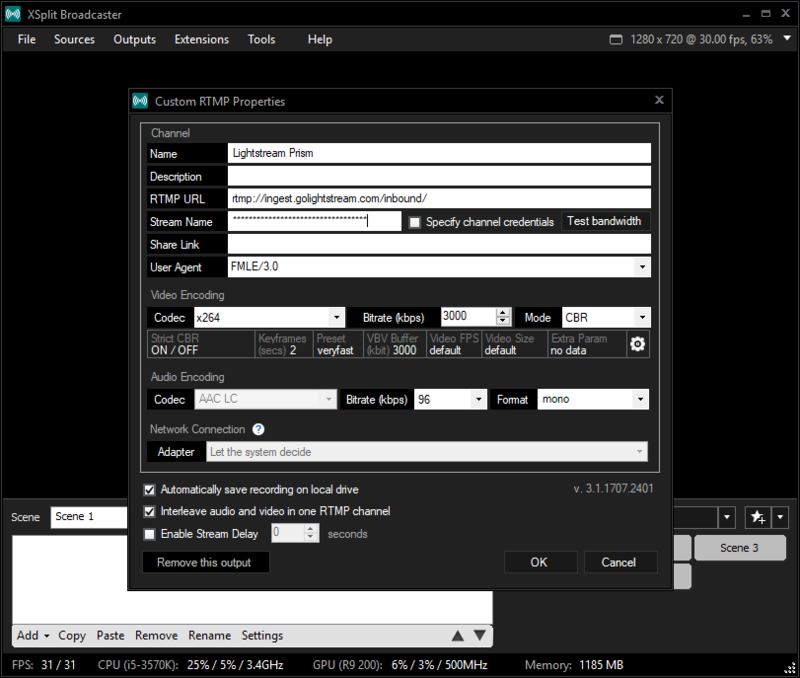 The first thing you need to do before bringing in your content from XSplit is create an RTMP Source layer to your Lightstream Studio project, then add the layer to your scene, and finally copy your stream key for use further down below. Here are the settings we recommend for sending your broadcast to an RTMP Source for XSplit.